The process of buying a home doesn’t need to be as daunting as some might think. The process is pretty much the same for everyone although cash buyers take a slightly shorter route through the steps than someone requiring a mortgage. Once you find that perfect piece of Ocean Isle Beach real estate that you want to buy the hard part is over. Following is the process to purchase any Ocean Isle Beach real estate. We’ll be happy to walk with you through every step. 1. Make an offer. We’ll provide you with an official contract on which to submit your offer in writing. This is then presented to the seller who has a certain number of days or hours to respond. Your offer is usually contingent on this like loan approval, property inspection, etc. 2. Disclosures. 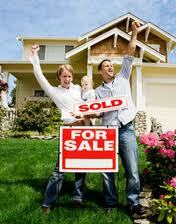 Seller’s will provide you with state mandated documents that disclose any issues or flaws with the property. 3. Mortgage application. When you apply for a mortgage from a bank or other lender, a formal appraisal will be ordered to determine the property’s value, a title search done and a home inspection performed. 4. Property inspection. Don’t overlook this step as it could save you money in the long run. Any defects in the home will be uncovered prior to purchase. Anything found during an inspection could be used to adjust your original offer. 5. Mortgage approval. Once your loan is approved the closing date is scheduled. 6. Walk-through. You get one final opportunity to walk through the property prior to closing. Make sure any repairs the seller agreed to take care of has been done as well as all fixtures and appliances as stated in the contract are there. 7. Closing. You’re just about home! The closing takes place at the lender’s or attorney’s office. Both buyer and seller sign off on the purchase and sales contract, any money due changes hands, and you receive the keys to your new home. Congratulations!